Creative Natures Protein Bar Taster Pack contains our beautiful protein bars! The Creative Nature Protein Flapjacks are the newest addition to our growing healthy, free-from bar selection and come in 3 new flavours: Apple pie, Cacao Orange and Salted Caramel. All unique, yet traditional flavours that work perfectly in these bars! 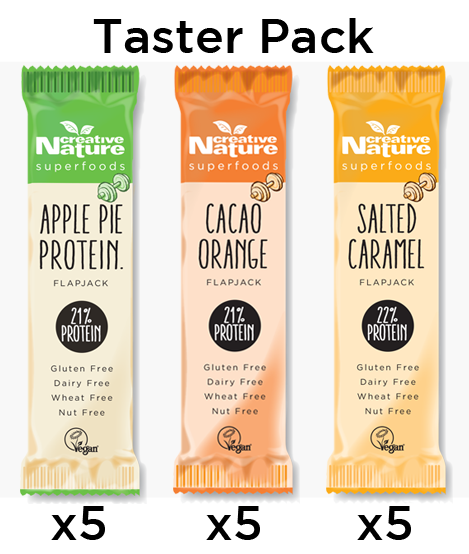 Whether you’re looking for a delicious afternoon snack, a quick bite in the morning as you head out the door, or a post-workout bar, with this Creative Nature Protein Snack Bar Taster Pack we’ve got you covered! With up to 22% protein per bar, these are a great source of plant based protein which will aid in muscle recovery as well as normal body functions throughout the day! 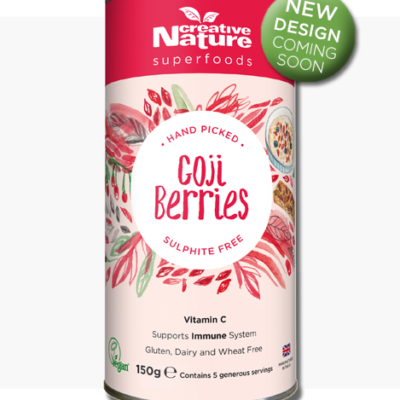 Whilst giving you some quick-release energy from the natural fruit sugars, the protein will also keep you feeling fuller for longer! Struggling to decide which flavour to choose if you’ve never tried out our Protein flapjacks? 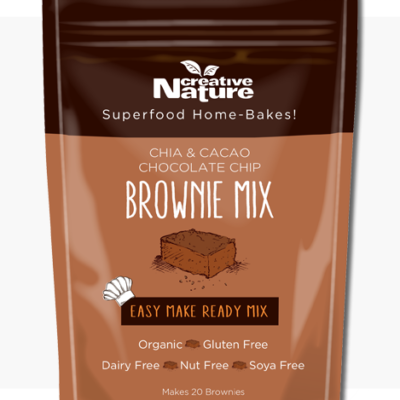 Then pick up this Creative Nature Protein Snack Bar Taster Pack and let your taste buds decide for you! With 5 bars of each flavour, this box is perfect to pass around your friends, offering a little something for everyone. Or you can just eat them all and relish the unique flavours of each bar, before you stock up on more Creative Nature Protein Snack Bar Taster Packs in your next order! Our brand new protein snack bars are conveniently available in this starter pack, so you don’t have to pick a favourite without trying them all first! Peel back the wrapper and enjoy! Head to the top of a mountain and enjoy whilst taking in the stunning view! If you want a bit more inspiration of where you can take your bars to and when to enjoy them- make sure to check out our Instagram page to see some amazing photos by our customers and bloggers. If you take some beautiful photos yourself and would like to see it featured on our Instagram, please email paula@creative-nature.uk.com with your images!